Download the Borgata Casino App and gain access to exclusive slots, jackpots and table games. The Borgata Casino app is available for download on iOS and Android operating systems. It’s already proving popular with other players, so we’re going to explore how downloading the Borgata mobile app can prove beneficial to your betting. Displayed in the table below is an overview of what’s available with the Borgata Casino app. Are There Any Borgata Casino Promotions Available? What Games Can I Play With The Borgata Casino App? The option of downloading a real money gambling app is a huge plus for bettors worldwide. An app can make getting access to and playing your favorite casino games much easier. The Borgata Casino app has proved popular with its customers so far. The Borgata mobile app is free to download on iOS and Android operating systems. Downloading the Borgata online casino app is a simple process, and you should be up and running within a few minutes. First up, we’ll examine how you can download the Borgata Casino app for Android devices. To download the Borgata online casino app for Android, you will need to visit the Borgata site. You’re unable to download any real money gambling apps from Google Play. You will also need to allow Unknown Sources to install the Borgata Casino app. Do this from the Settings menu on your mobile device. Now to iOS. You can download the Borgata app on iPhone, iPod Touch and iPad, so long as the system is running 8.0 or later. There are a number of Borgata Casino promotions you can take advantage of. Let’s first take a look at their welcome package. 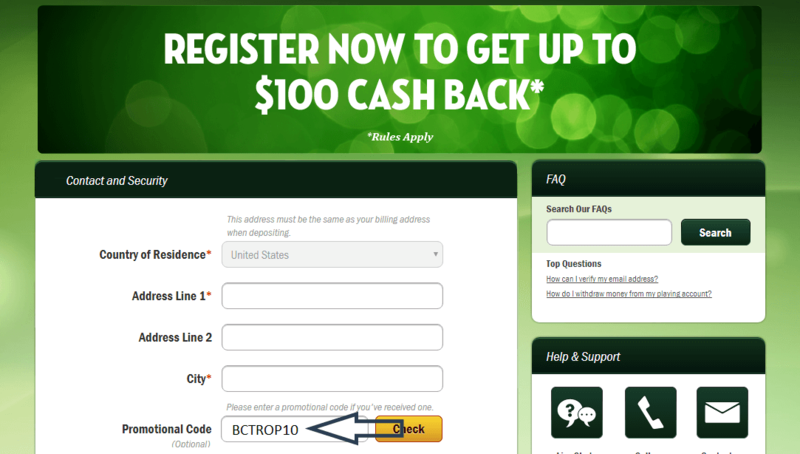 New customers can earn $20 without a deposit and 100% deposit match bonus up to $600. Your $20 is awarded to you just for signing up. You can then earn a deposit match bonus up to $600 by using the bonus code MAXCODE and opting into the promotion. Terms and conditions apply to all Borgata Casino promotions, including the welcome offer above. Read them carefully. So, any Borgata Casino promotions for existing customers? There are daily and weekly bonus opportunities that change regularly. Previous Borgata Casino promotions have included free Daily Spins, Tier Bonuses, and Live Casino Bonuses. We expect similar promotions to be offered in the future too. For your Borgata Casino app to run smoothly, your operating system will need to meet certain requirements. For iOS devices, your operating system must run at 8.0 or later. The Borgata Casino app for iOS can be downloaded on iPhone, iPad and iPod Touch devices. The Borgata mobile app is relatively small, compared to those real money gambling apps offered by some of their competitors, and will only take up around 31 MB of storage space. If you’re downloading the Borgata Casino app on an Android device, your operating system will need to run at 7.0 or later. It may be possible to download the Borgata apps on earlier systems, but some games may not run correctly. What does the Borgata mobile app actually give you? There is a range of enticing features with the Borgata Casino app, which we’ll explore in detail in a moment. Most of the games and slots you can play on your desktop are available with the Borgata Casino app. New games are added regularly, so you have plenty of betting options with this real money gambling app. You can create your account using the Borgata mobile app too. Download the app and hit the Sign Up button. Follow the steps we displayed earlier to register. You can take advantage of many of the Borgata Casino promotions through the app. Click on the Promotions tab to see what’s available. The Borgata Casino app also allows you to fund your account. It’s possible to make deposits and withdrawals using the Borgata app easily and safely. You also have access to 24/7 customer service. Hit the Help button in your Borgata mobile app for FAQ’s, email and telephone information. There is a huge range of slots you can play with your Borgata mobile app. There are over 100 listed on site, with most of these available with your Borgata Casino app, meaning you can play no matter where you are. Table games are also available with your Borgata app. Blackjack, Craps, Roulette, Baccarat and many variations of each game are betting options for you with the Borgata online casino app. The Borgata app also gives you access to Video Poker. Your choices include Double Bonus Poker, Jacks or Better and Deuces Wild. There are six different Progressive Slots you can enter using the Borgata app. You can also use the Borgata online casino app to play Jackpot Slots such as Luck of the Jackpot, Melon Madness and Going Nuts. It’s fair to say we’re impressed with the Borgata online casino app. There’s a fantastic variety of games and slots to enjoy with the Borgata app, with extra games added regularly. There’s no Live Chat function on the Borgata Casino app, which is somewhat of a disappointment. You also can’t choose Desktop View from the Borgata app. This shouldn’t cause too much of a problem though, with the seamless and smooth interface that the Borgata app possesses. In summary, the Borgata online casino app is pretty decent! Remember, with this real money gambling app new customers can claim a 100% deposit match bonus up to $600.